Leonard Fein, Provocative Writer on Jewish Affairs, Dies at 80 – NYTimes.com. Leonard Fein, an intellectual and activist who wrote voluminously about contemporary Jews, Judaism and, in his words, “the often stormy relationship between Jews and Judaism,” and who founded a magazine and organizations to combat hunger and illiteracy, died late Wednesday or early Thursday in Manhattan. He was 80. His brother, Rashi Fein, a professor emeritus at Harvard Medical School, confirmed the death, saying the cause was uncertain. Mr. Fein lived in Watertown, Mass. As an author, a columnist for The Jewish Daily Forward and a contributor to many publications, including The New York Times, Mr. Fein was among the foremost of the so-called liberal Zionists. Known to friends and family as Leibel (pronounced LAY-bul), he was a social progressive, a fierce peacenik, a staunch defender of Israel and a shrewd observer of the American Jewish community. He was fascinated by the diverse, complex, sometimes contradictory nature of modern Jewry. “Some questions,” he began a 1985 essay in Moment, a magazine he edited and had founded a decade earlier with Elie Wiesel: “Why do we, less than 3 percent of America’s population, far, far less than 1 percent of the world’s, seem implicated in so much that happens about us? Or is it that, out of our preoccupation with self, we only imagine that implication? Mr. Fein had given up an academic career to focus on Moment. He envisioned it as a more stylish and literary alternative to Commentary, another magazine that concentrated on Jewish issues but one that Mr. Fein found dour, dull and ideologically out of step with most Jews after it swung politically rightward in the 1960s. Mr. Fein left the magazine in 1987. (The current editor, Nadine Epstein, said in an interview that Moment was more journalistic and less literary today than it was under Mr. Fein.) Shortly before that, he had founded an organization to raise money from Jewish families who were celebrating bar mitzvahs and weddings in increasingly opulent fashion and distribute it to groups that fed the hungry of any faith. After a year, Mazon was raising $80,000 a month. In the fiscal year that ended June 30, it dispensed $4.5 million in grants. The idea for Mazon came to Mr. Fein when he learned that party caterers were pulling in half a billion dollars a year. Mr. Fein was born in New York City on July 1, 1934, and his first home was in the Bronx. His parents, who were teachers, frequently moved to find work, and before he was 10 he had lived in Winnipeg and Bridgeport, Conn. There, he contracted polio, which left him with a condition known as post-polio syndrome, characterized by muscle weakness and fatigue. The family later settled in Baltimore, where Leonard graduated from high school. His father, Isaac, taught Jewish studies at Baltimore Hebrew College (now Baltimore Hebrew Institute), and his mother, the former Chaya Wertheim, taught in Baltimore schools. Mr. Fein graduated from the University of Chicago, spent a year in Israel and then resumed his studies, earning a Ph.D. in political science from Michigan State. He taught in the political science department at the Massachusetts Institute of Technology and later taught Jewish studies at Brandeis. His other books include “Where Are We? The Inner Life of America’s Jews” (1970). In the late 1990s, after President Bill Clinton declared that it should be a national goal to have every American child able to read by fourth grade, Mr. Fein founded the National Jewish Coalition for Literacy, a network of organizations that provide volunteer tutors in schools. The coalition, which began with a pilot program in Boston in 1997, operates in 47 communities and has recruited about 12,000 tutors. 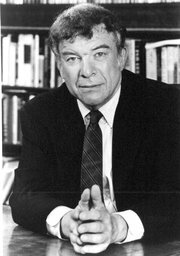 “Leibel was a pioneer of American Jewish sociology, and in the application of social scientific research to improving the conditions of the American Jewish community in various ways,” a friend, Leon Wieseltier, the literary editor of The New Republic, said in an interview. “His feeling for his people was vast. He insisted that certain Jewish teachings about social justice and social equality be put into practice, as regards the community’s policies towards its poor. RailCats’ Adam Klein elects to play on Yom Kippur.